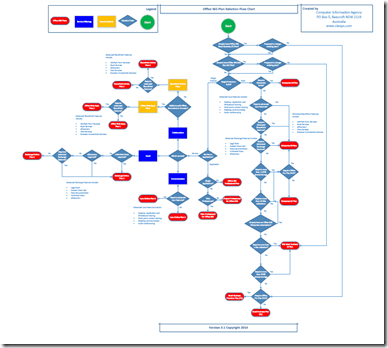 About a year ago I first published my Office 365 plan choice flow chart to assist with the selection of the best Office 365 plan for their needs. Since then I have updated it a number of times to reflect changes and additions. This flow chart is always a work in progress and is far from perfect so if you find any errors or omissions please let me know so I can fix them.